Daniel McIvor doesn’t seem set on teaching playgoers anyting as much as he wants them to feel in Who Killed Spalding Gray? Indulge in the spooky connections of the loss of a Hollywood actor and what kind of role the Pride of Prince Edward Island played in the tragedy. Not everyone is compelled to bow down at Daniel McIvor’s playwrighting altar but those that do so willing are always in for a treat when the solo satirist has his filthy way with them. Who Killed Spalding Gray? is one part memoir, one part self-help guide and (mostly) all delightful theatre. Hilariously honest, endlessly entertaining and strung together with golden material surrounding his own personal experience surrounding the bizarre suicide of an acting great. This is McIvor’s homage to a confessional storytelling mentor of sorts and how he specifically is linked to it. Despite this being a significant search, it’s hard to say if this theatrical piece is a meditation on death. The story structure suggests otherwise with often touching insight into existence. 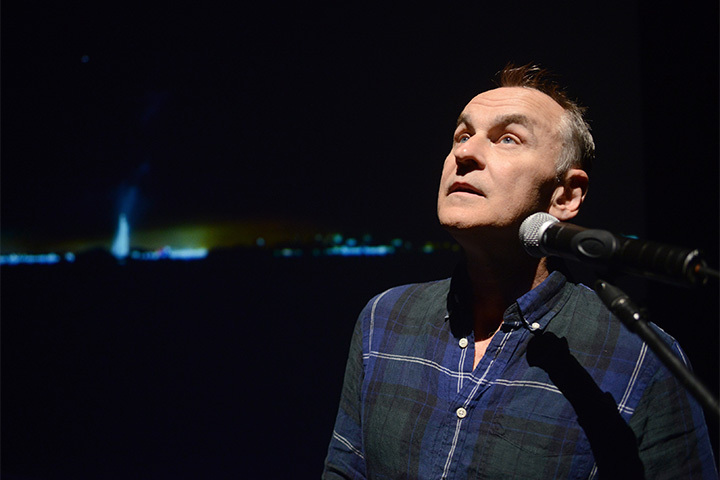 From psychic surgeon’s to Helen Bonham Carter, the always stunning playwright talks, supposes, dances and acts his way into the audience consciousness for one hell of an amusing reality check.